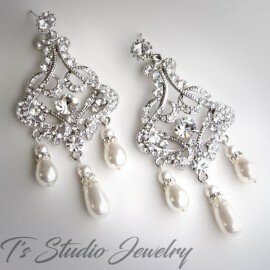 Glamorous antique silver chandelier earrings feature sparkling clear rhinestones encrusted on a silver base, with two pearl drops. 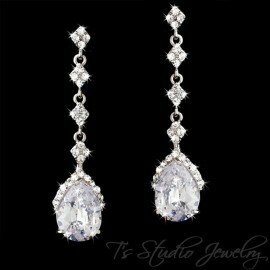 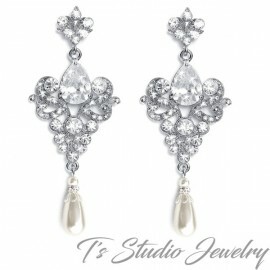 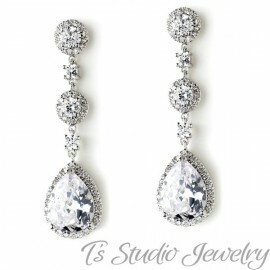 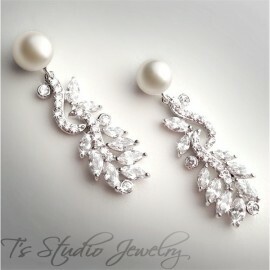 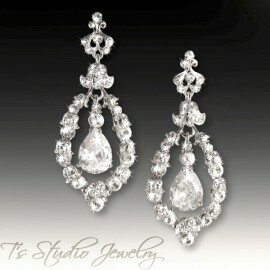 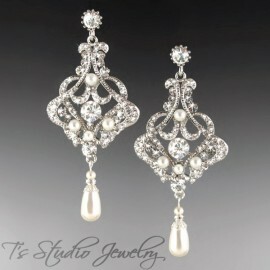 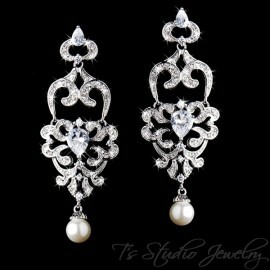 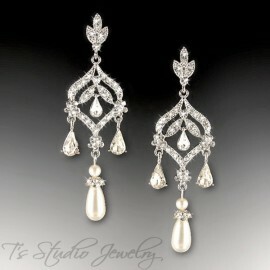 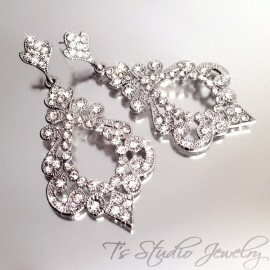 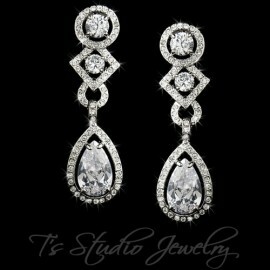 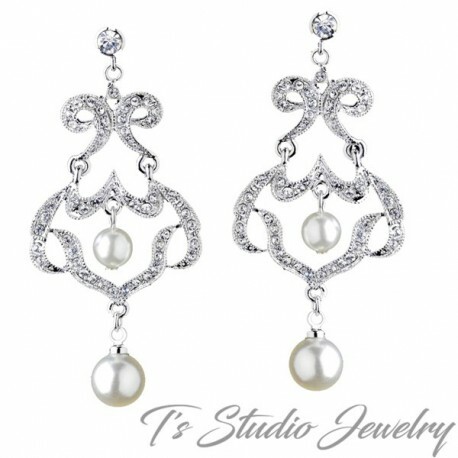 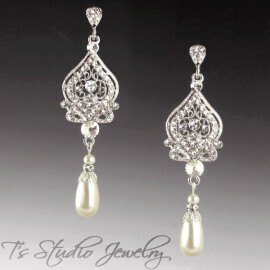 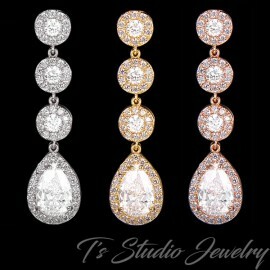 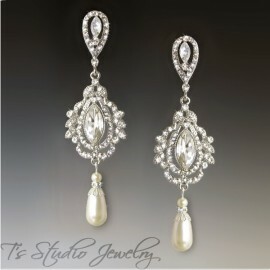 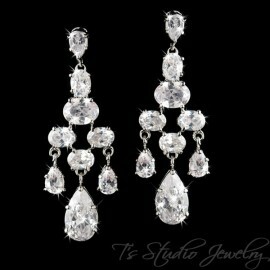 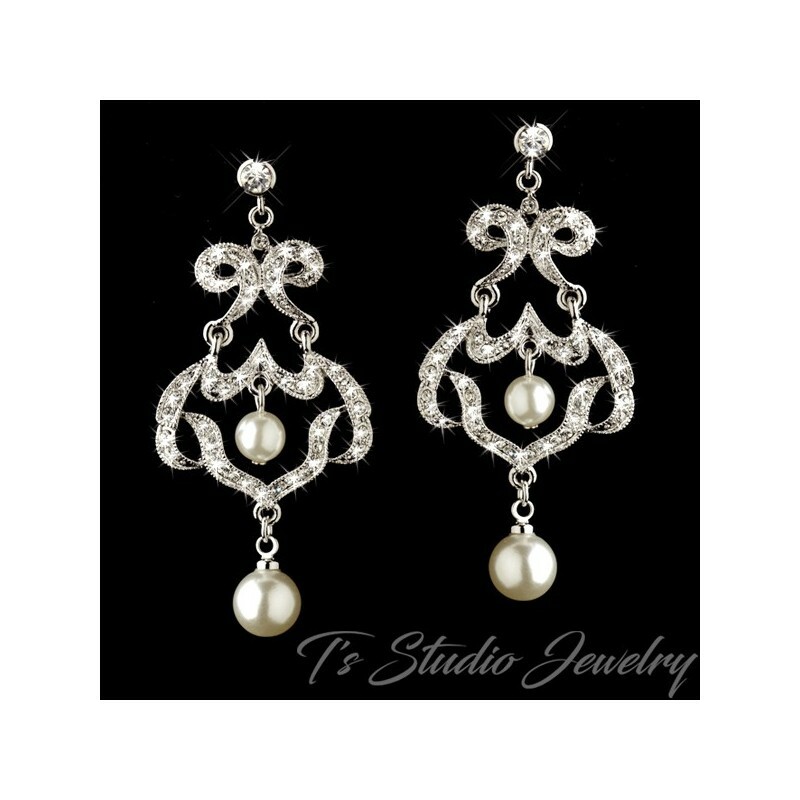 These earrings are charming and elegant and will make a beautiful accessory for your wedding gown. 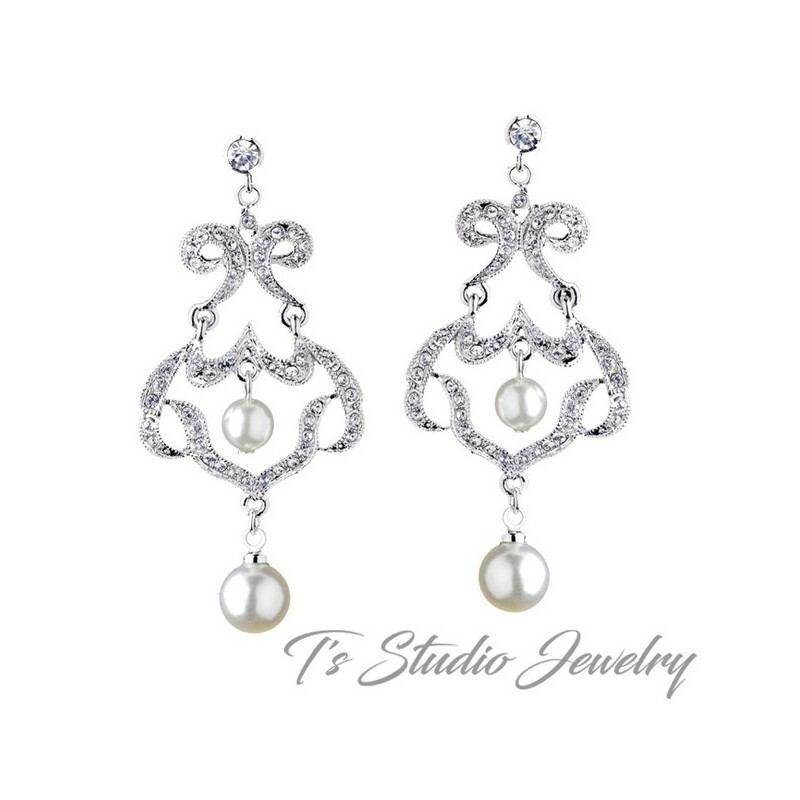 Please contact us if you would like a pearl color other than white or ivory. 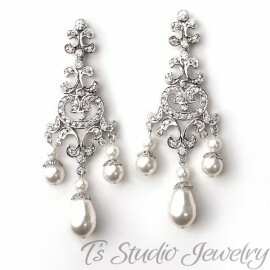 IF YOU NEED YOUR JEWELRY BY A SPECIFIC DATE, PLEASE MAKE A NOTE UPON CHECKOUT. 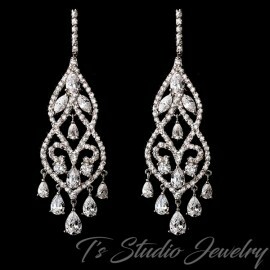 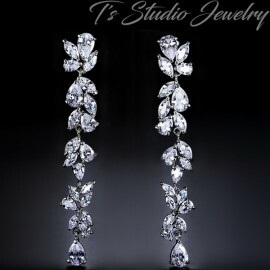 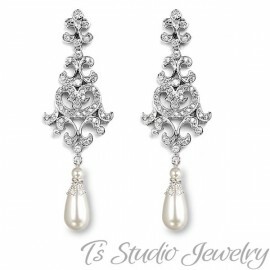 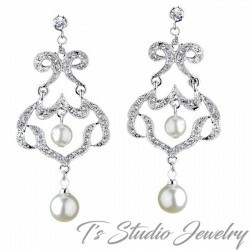 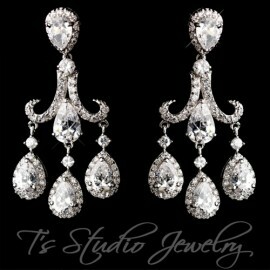 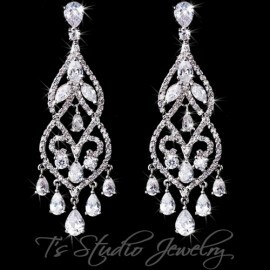 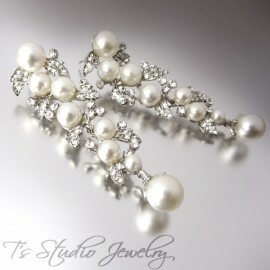 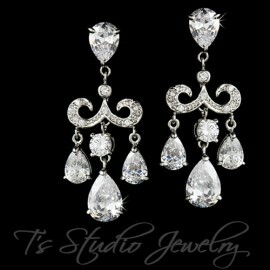 Thank you for shopping at T's Studio Jewelry for your wedding jewelry and accessories.